Not too long ago, I posted a recipe for a shawarma seasoning (that was really great), and I used it when making chicken shawarma, another recipe that I will be posting in the near future. 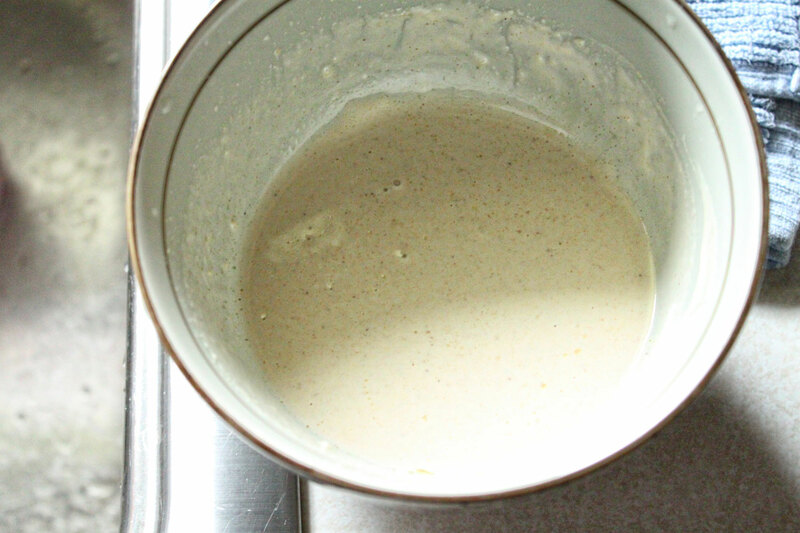 To accompany the chicken shawarma, I made a batch of tahini sauce. If you have never had tahini sauce, oh man, it’s a must try. The ingredients are simple, but the impact it makes on sandwiches, or salads for that matter is amazing. As my chicken shawarma had some hummus I had made a few days prior, I decided to do a final drizzle of tahini sauce to elevate the sandwich to another level. The picture is not very exciting to say the least, but you can get a sense of what it looks like. That’s it. You can add some minced fresh parsley if you want, but I wanted mine to be a bit cleaner in a sense. Basically add everything to a mixing bowl, and stir until everything is incorporated. The consistency should be that of a salad dressing, not too thick, and not too thin. The lemon and garlic are perfectly balanced by the tahini paste. Did I mention how much I love tahini sauce? Again, this tahini sauce goes great on salads, sandwiches, or heck even a quick dip for pita chips. Hope you enjoy!